Visual Effects (VFX) uses digital technology to bring together Computer Generated Imagery (CGI) with moving images from a camera. It is a creative industry using advanced digital technology to create incredible effects for the big screen. The texturing department is responsible for creating photorealistic textures (images) that will be placed onto the grey 3D models coming from the Modeling department. Textures artists help to define the surface qualities of 3D models. For photorealistic VFX work a texture artist will often start with detailed photographs of specific surface types and digitally paint and extend these photographic textures as necessary. They will work closely with the lighting department to determine color scheme and other textural attributes for shading and lighting. For example the texture artist will help define the surface of a snooker ball as red, shiny and smooth or the surface of a rock as speckled grey, matte and rough. To work here you should have an artistic eye and be comfortable with CG software digital image manipulation, digital painting and specific texture painting software such as Photoshop or Mari. On smaller productions the role of modeler and texture artist are often combined, texture artists should have an in depth knowledge of the modeling and UV process. On larger productions Texture artist work closely with the Modeling Department to ensure they have the latest models and that the UVs are laid out in a sensible manner. Texture artists must have a keen sense of colour, detail and surface values. Hero models can have many different surface attributes that need to be carefully controlled and balanced. While the look and aesthetic value of the textures is of utmost importance the texture artist needs to be comfortable with some of the more technical aspects of shading, lighting and rendering to ensure that the models not only look well but render efficiently under a variety of lighting conditions. The look development (style & surface attributes) of the textured models is created through the close collaboration of the texturing and lighting departments to ensure that the final textured models achieve the desired style and look. Lighting is where the look and atmosphere of any CG elements are defined. This where the various art assets from the other departments like modeling and animation come together. Through careful balancing of lights and shaders, lighters make the CG assets really shine and add a level of realism, that is not simply photo-real, images should be atmospheric, moody and cinematic, while helping to enhance the live action photography and advancing the story. The lighting department requires a balance between technical and artistic skillsets. The lighter has a lot of the same concerns that a cinematographer (DOP) would have onset. Lighters need to have a good eye for colour tone and mood. They need to be able to see and interpret what the Cinematographer is trying to achieve within the shot photography. They ensure the CG looks believable to match the live action plates. Lighters need to use technical skill and aesthetic judgment in order to create images that not only look right but can be rendered efficiently. They are concerned with visually balancing individual elements to enable a compositor to produce a convincing and consistent range of images. As you have to keep track of a lot of incoming assets from upstream departments experience, as a generalist is useful in this role. The overall show Lighting Supervisor on smaller productions is often the CG Supervisor as this is where the all the individual 3D departments hard work comes together before going to the 2D Department (Compositing). Individual sequences are often given to lighting leads to ensure a consistent look across a sequence. The role of the 2D Department (2D or Compositing, Comp for short) is to seamlessly integrate all of the visual effects elements with the shot live action plates. This is where it all the disparate parts come together to create the final shot. Compositing is at the end of the visual effects pipeline, there is a lot of pressure to get the VFX shots finalled (approved). Time is short and the Director’s expectations are very high so Compositors need to work to the very highest standards within very tight deadlines. To work in the Compositing Department you should have some knowledge of the 3D pipeline extensive knowledge of the 2D pipeline including Compositing software such as Nuke or After Effects. Compositing is seen as artistic work but to be a successful compositor requires a high level of technical skill. You should have an understanding of Image manipulation math, an understanding of multi pass lighting and be comfortable with coding and automating systems. You will often have an interest in cinematography, photography, fine art, coding, lighting and colour. Supervison and management within VFX studios has evolved rapidly as VFX studios have grown in size. While there are now many layers on Supervison and Management to deal with multi national studios there are certain roles you find on every production. The most important are the CG Supervisor, the 2D Supervisor and the VFX Supervisor. On smaller productions the CG Supervisor and 2D Supervisor roles can be combined. All of these roles are Client facing. In general though the CG/2D Supervisor is looking to deal with in house issues and the VFX Supervisor is looking towards both interna and external issues and managing the Client. The CG Supervisor is the person responsible for all 3D content on a production and sits above all the different 3D departments. The 2D Supervisor sits at the same level as the CG Supervisor. Compositing (2D) is at the end of the pipeline, this is where shot will be finalled. 2D Supervisor must work closely with the VFX Supe/Director to get shots finalled. Other Supervisors will have varying levels of importance depending on the nature of a production for example on Animation heavy production the Animation Supervisor can also be a very Senior role on par with the 2D and CG Supervisors. The VFX Supervisor sits above all the individual Departments on a production and is the direct point of contact for the Clients. On smaller productions or early in the post production phase Supervisors will be expected to work directly on CG Production tasks. As the size of the productions grow this will become more of a management role. Supervisors can spend large portions of their week, running dailies, ensuring the team has all its requirements, helping individual team members, and meeting with the CG/VFX Supervisors, Production and the other HODs. This leaves little time left to take on actual production work so it is important for Supervisors to properly delegate tasks and enable the crew to take on technical challenges. Here are some roles that fall outside of the more rigid department structure. A CG Generalist will handle any general CG tasks required. They will have a broad knowledge that covers as many areas of 3D/2D as possible and be very familiar in the core CG tasks. A VFX Editor will work as part of the Visual effects studio Editorial department ensuring all VFX cuts are up to date. A Matte painter in a large studio would work as part of the Matte Painting Department. They are a specialist role that requires excellent artistic skills that often can take a shot from early concept to final delivery. Text to be added here. The production department handles the organisational side of the animation/VFX process. It takes budgetary considerations and translates them into real world organisational decisions and operational plans/schedules. Members of the production department liaise with the VFX and animation artists to produce scheduling plans and guide the Animation/VFX Department in terms of cost and scheduling. Other duties of production include liaising with leads/Supervisors to allocate work in terms of difficulty, planning production strategy in terms of workload and crunch time and assisting in the promotion process for artists. Production also liaises with staff to plan and implement training for Artists. A key function of production is organising reviews for the client and facilitating feedback from the client. Production also aids in communication in each department and between departments. The structure of the production department is usually as follows. The first level consists of the Managing director executive producer and head of production. This level handles operational leadership, strategy and the company’s finances. The third level consists of the production coordinator, production assistant, production secretary and runner. This level deals with managing the day to day running of a production involving administration , scheduling, tracking production activities , taking minutes for meetings, assisting HR etc. Matchmove is the point where on set data such as the live action shots (plates), lens data, lighting data and other onset information enter into the VFX pipeline. Matchmove is at start of VFX pipeline so it is important that the work carried out here is meticulous and efficient, as the outputs from here will feed into many downstream departments. The matchmove department is primarily responsible for recreating the motion of the film camera in 3D space. They are also responsible for tracking a character or object moving through a shot e.g. a moving vehicle, that might require CG augmentation or animating a CG character to match the motion of an actor (body tracking) that might CG augmentation. Matchmove also cleans up and organizes onset data and will often be responsible for layout tasks such as setting up initial environment scenes to match PreVis or blocking in CG cameras. Matchmove requires a high level of quality control, mistakes here can affect multiple departments so you need to be diligent and meticulous. A general familiarity with vfx pipelines and familiarity with 3D concepts and software are expected. A good understanding of real world film camera attributes and how these relate to CG cameras is very beneficial. Entry-level roles into the 3D department often start in matchmove. 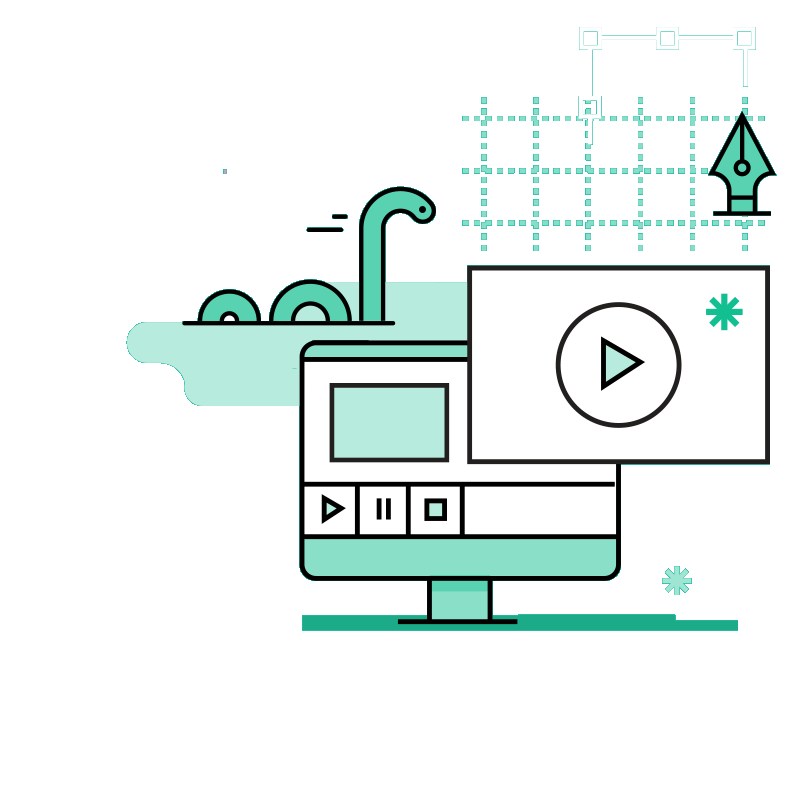 This allows new entrants to become familiar with overall vfx pipeline. As matchmove is at the start of the vfx pipeline, file and scene cleanliness is a particularly important skillset to instill in new artists. It also familiarizes new artists with working with the asset management system, databases, the dailies and publishing systems. The animation department is responsible for animating any cg objects, characters or creatures within a shot. They will take the motionless Animation Rigs from Rigging and give them personality or a sense of life. An animator will use the Rigs from the Rigging department to build a believable performance, that will capture memorable and believable characters that drive the key moments of the script, and ultimately meets with the directors approval. Animators tend to be on the more artistic side, they need to have an intuitive understanding of weight timing and movement. Often vfx animation will need to be photorealistic so studying lots of reference and understanding how animals and humans move in the real world is necessary. They also need to be able to portray personality and specific moments of emotion through their animation. This requires them to have the sensibilities of both dancer and an actor. There will be a lot of emphasis on the quality of the performance. Directing actors is a Directors natural territory and they will often have lots of feedback and comments for the animation department, so animators need to be able to work flexibly to address very subtle comments quickly and to very high standards..
Once animation is approved the animated caches will be published out for FX, if the characters need an FX pass eg costume, hair etc. If not it will go onto the Lighting Department. The role of the Rigging Department is a vital one as it binds together the disciplines of modelling and animation. The task of the Rigger is to build the internal structure and the controls of a model that will be used by an animator to manipulate it. You can think of a Riggers as the people who put the strings on a puppet. They are the team that add life and movement to the lifeless 3D models and give the animators the tools they need to bring out a believable performance. The Rigger should have a clear understanding of how a model will need to animate and deform, to achieve this it is vital to have a solid grounding in anatomy and kinesiology (movement). Riggers should have a in depth understanding of how real-world creatures move before recreating them in CG. While Rigging can be one of the more technical departments, the main concern is to create engaging believable performances. The quality of the character rig will have a large impact on the range of performance that the animation department can achieve. It is important that the Rigger has not just a technical skill-set but also an artistic appreciation for the range of performance required from the script. To work in the Rigging department, you should have a broad knowledge of CG production, and be comfortable with both the artistic and technical aspects of CG. Rigging can be complex and sometimes repetitive so coding and automation skills are important, as is reusability, scalability and pipeline efficiency. You need to be a creative problem solver who can overcome technical issues to deliver a rig capable of artistic performance. You will often have an interest in areas such as art, animation, coding, mathematics, anatomy and physics. Riggers work closely with the Modeling Department to ensure that the construction of the models allows for the neccesary deformations to get the required performance for the animation team. As the Rigger will ultimately publish his work to be used by the animation team, there should be an open dialogue as to what the animation requirements for the rig should be and if there are any specific custom specifications that need to be considered to achieve the required performance. The FX Department is responsible for recreating natural phenomena such as water and fire and other more abstract effects such as character transformations or magical elements. These type of FX are too time consuming and difficult to animate by hand so are simulated by FX artists using CG software. While this is a very creative department it is also one of the more technical VFX departments so artistic and creative solving problems are required. To work in the FX department, you should have a broad knowledge of CG production, and be comfortable with both the artistic and technical aspects of CG. This work can be computationally heavy, so an understanding of reusability, scalability, coding and pipeline efficiency is important. You will be a creative problem solver who can overcome technical issues to deliver on artistic intent. You will often have an interest in areas such as art, coding, mathematics and physics. The nature of FX work is very diverse and will cater to a production’s individual needs. Each sub department of FX (creature, destruction, crowds etc.) can have its own lead responsible for those elements. Within the crew for those departments you will have Technical artists, referred to as Technical directors or TDs for short and FX artists who will work on individual shots.